Conversely, climate policy that results in little or no effort to control greenhouse gases like carbon dioxide would likely result in a substantial release of carbon from the permafrost region by 2300, the study found. A. David McGuire, U.S. Geological Survey senior scientist and climate system modeling expert with the University of Alaska Fairbanks Institute of Arctic Biology, is lead author of the paper. Several other UAF researchers, along with scientists from about two dozen other research institutions worldwide, contributed to the study. Scientists estimate that the soils of the Earth's circumpolar North contain about twice the amount of carbon as is in the atmosphere. Much of that carbon is frozen organic matter locked within permafrost. As global temperatures rise and permafrost thaws, the previously frozen organic material begins to decay and releases greenhouse gases like methane and carbon dioxide. The release of that carbon can, in turn, cause additional warming and the release of more carbon, something scientists call a positive feedback loop. Even without immediate controls on greenhouse gases now, the bulk of the permafrost carbon release would not occur until after the year 2100. Study authors note that this could cause society to grow complacent and accept less aggressive efforts to control greenhouse gases. Waiting too long to institute controls could mean the controls come too late to prevent substantive loss of carbon from permafrost soils. "Society can do something about this, at least that's what the state-of-the-art models are saying," McGuire said. The degree to which climate change could influence carbon dynamics in the northern permafrost region has important implications for policy decisions. However, most climate system models have not done a good job of showing the relationship between permafrost and soil carbon dynamics. Because of that, they haven't allowed an accurate assessment of the effects of climate change on carbon in the region. In the new study, McGuire and his colleagues used simulations to study changes in permafrost and carbon storage in the northern permafrost region from 2010 to 2299 using two climate change scenarios: One with low carbon dioxide emissions and one with high carbon dioxide emissions. Permafrost expert Dmitry Nicolsky of the UAF Geophysical Institute provided simulation data on changes in the extent of permafrost in the northern hemisphere and the predicted thaw depth under the two scenarios. The low emission scenario would require carbon emissions by global human society to decrease by 75 percent during this century. In that scenario, the study showed the loss 3 million to 5 million square kilometers of permafrost and changes in soil carbon ranging from a 66-petagram loss to a 70-petagram gain. One petagram equals one trillion kilograms or 2.2 trillion pounds. In the high emission scenario, or essentially no change in current trends of fossil fuel use, permafrost losses were between 6 million and 16 million square kilometers, while soil carbon losses varied from 74 to 652 petagrams and occur mostly after 2100. 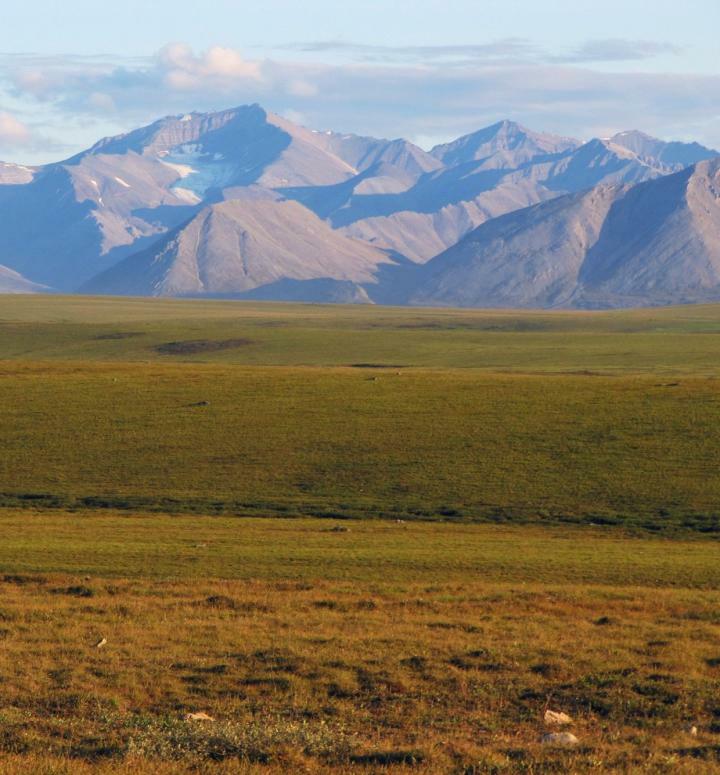 This represents a loss of 20 to 63 percent of the carbon now stored in northern permafrost. The findings suggest that effective new greenhouse gas controls could help lessen the effects of climate change on the release of carbon from soils of the northern permafrost region and therefore decrease the potential for a positive feedback of permafrost carbon release on climate warming. "If such controls aren't adopted, it will lead to major changes for ecosystems and infrastructure," Nicolsky said. ADDITIONAL CONTACTS: A. David McGuire, senior scientist with the U.S. Geological Survey, Alaska Cooperative Fish and Wildlife Unit, and professor at the University of Alaska Fairbanks, Institute of Arctic Biology, at [email protected] or 907-474-6242. Dmitry Nicolsky, assistant professor at the UAF Geophysical Institute, at [email protected] or 907-474-7397.